With the purpose of rendering practical help in the field of international commercial dispute resolution, we would like to inform you about the International Arbitration «IUS». Over the last 100 years, international commercial arbitration has gained the worldwide acceptance as the main method of resolving commercial disputes. The International Arbitration «IUS» (if necessary, hereinafter – the Arbitration «IUS») is a recognized arbitration center with significant experience in the field of international dispute resolution. The International Arbitration «IUS» was founded in 1992 for providing activity of the Arbitration; it is operated by the Public Foundation «Juridical Centre «IUS» (Almaty, Kazakhstan). Before 1st February of 2016 the International Arbitration «IUS» was named the International Arbitration Court «IUS». The names the International Arbitration Court «IUS», the International Arbitration Court of the Juridical Center «IUS» and other names, derived from these, are the names for the same Arbitration. The terms and phrases such as arbitration, the tribunal, the arbitral tribunal, etc. are synonymous if they are used in the text of any arbitration agreement, in an arbitration clause or for naming of the International Arbitration «IUS». The main term in the title of the Arbitration is the term – «IUS». For the naming of the Arbitration by the parties in any arbitration agreement the use of terms «JUS», «ЮС» is permissible. In such cases, any of these terms refer to the International Arbitration «IUS». The meaning of terms «IUS», «JUS», «ЮС» is the same, because they are cognates of such words as «justice» and other terms. According to the decision of the Council the offices of Arbitration may be opened in other cities, as inside as outside of the Republic of Kazakhstan. For overseas authorities, entities and individuals, the offices of the Arbitration which are located outside of Kazakhstan are divisions of the foreign arbitration – the International Arbitration «IUS». The International Arbitration «IUS» has offices in the Republic of Kazakhstan and the Russian Federation. The headquarter of the Arbitration is situated in Almaty (its branches in other cities of Kazakhstan) and another office is located in St. Petersburg (Russia). In case of an investment dispute or dispute involving a foreign party, the dispute may be settled by the Arbitral Tribunal, either by the initiative of the parties or by its own initiative in accordance with the UNCITRAL Arbitration Rules, in this connection the Arbitral Tribunal may issue a determination. The Arbitration «IUS» has the agreements of cooperation with a number of arbitration bodies from many different countries of the world. For example, the International Arbitration «IUS» has agreements of cooperation with the Arbitration Institute of the Stockholm Chamber of Commerce and the Arbitration Court attached to the Economic Chamber of the Czech Republic and Agriculture Chamber of the Czech Republic (Prague). Direct contacts have been established with the London Court of International Arbitration (LCIA), with the International Court of Arbitration of the International Chamber of Commerce (ICC) and also with the China International Economic and Trade Arbitration Commission (CIETAC). - issues special-purpose literature in English, Russian and Kazakh. Chairman of the International Arbitration "IUS"
Awards of the International Arbitration «IUS» are enforced by both voluntarily and compulsory. The International Arbitration «IUS» is an international arbitration and its awards are recognised and enforced in conformity with the New York Convention (approximately 150 countries signed the convention), and also in conformity with other international conventions and agreements in the order stipulated by the procedural legislation of the country of execution, for example in accordance with Codes of Civil Procedure. In the Republic of Kazakhstan, awards of the Arbitration are enforced according to the rules established by the Kazakhstan Code of Civil Procedure and the Act of the Republic of Kazakhstan: «About Arbitration» of 2016. 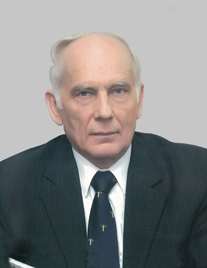 The enforcement of awards of the Arbitration «IUS» on Russian territory shall be made in accordance with the provisions of the Russian Code of Arbitration Procedure, the Russian Code of Civil Procedure and the Laws of the Russian Federation: «About International Commercial Arbitration» of 1993 and «The Arbitration and Arbitration Procedure Act» of 2015. Awards of the Arbitration «IUS» can be presented for enforcement within three years from the moment of the introduction of the award to enforceability. The Arbitration «IUS» offers business a full spread of dispute resolution services, with arbitration at the core. The Arbitration «IUS» settles any claims involving an economic interest that lies within the jurisdiction of the state courts. In this connection the term «claims involving an economic interest» is to be understood broadly. It also encompasses claims that are not aimed at a payment. The disputes can be settled under Kazakhstani or Russian law or under the domestic law of any other state chosen by the parties. The parties have capability to give the chosen arbitrators the right to settle the dispute ex aequo et bono. One of the function of the Arbitration «IUS» is to provide for settlement by arbitration of any business disputes and other disputes in accordance with the Rules of Arbitration of the International Arbitration «IUS». The Arbitration «IUS» Rules are available in three languages: Russian, Kazakh and English. The English text of the Arbitration Rules will be the official for all arbitral proceedings which are conducted in English. The Arbitration «IUS» can be acted as an appointing authority or institution providing technical, secretarial and other administrative services during ad hoc arbitration proceedings in accordance with UNCITRAL Arbitration Rules. The Arbitration «IUS» provides cost-effective administration of arbitration, mediation and other methods of Alternative Dispute Resolution (hereinafter – ADR) in different venues and under different systems of law. 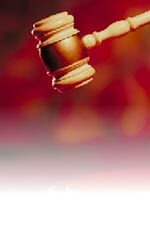 Arbitration under the Arbitration «IUS» Rules is distinct from all forms of dispute resolution that come under the heading of ADR. Unlike ADR, arbitration culminates in a binding award enforceable in most countries. The Arbitration «IUS» offers an array of non-binding dispute resolution techniques that will only work if the parties are willing to accept them voluntary. It is then open to the parties to reach a binding settlement agreement if they so wish. The Arbitration «IUS» offers the follow of ADR techniques: mediation or conciliation; neutral evaluation, including an issue of fact, a technical issue and an issue of law. Mediation or conciliation is administered by the Arbitration «IUS» in accordance with its Rules of Mediation. The Rules are designed under the UNCITRAL Conciliation Rules. The Arbitration «IUS» is an international institution, offering efficiency, flexibility and neutrality to all parties involved in dispute resolution under its auspices, regardless of location. The composition of the Arbitration «IUS» includes more than 100 arbitrators from many countries of the world (including arbitrators from Belarus, the Czech Republic, China, Georgia, Germany, India, the Republic of Kazakhstan, Kyrgyzstan, Latvia, Poland, the Russian Federation, Sweden, Ukrain, the United Kingdom, the United States of America, Uzbekistan etc.). The arbitrators are highly qualified experts in law, economics, financing, investments and securities, bankruptcy and insolvency, taxation, insurance, shipping including sea shipping, and other spheres of humanitarian and technical expertise. Many of the arbitrators are professors with honorary and advanced academic degrees, and members of international organizations (ILO etc.). 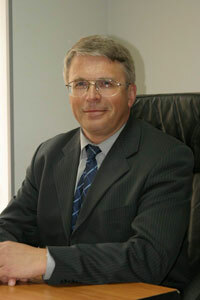 The Chairman, the Deputy Chairman of the Arbitration «IUS» and some of its arbitrators have created the specialised training courses on the International Commercial Arbitration and teach them to the students of the leading higher law schools of Kazakhstan and Russia, for example, at the law departments of the Caspian University, the Kazakh Humanitarian University, the St. Petersburg State University and St. Petersburg State University of Economics. The arbitrators of the Arbitration «IUS» as law experts have drafted of the laws of the Republic of Kazakhstan and the Russian Federation concerning Arbitration during last 25 years. Since 1999, the Arbitration IUS has published of the series of books on the theory and practice of arbitration and about the actual problems of private law. The first series of books, including comments on the arbitration laws were published in Kazakhstan in 1999, 2002, 2009, 2010 and 2012. 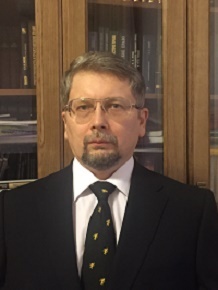 The collection of articles: «The International Commercial Arbitration and the current issues of Private Law» was published in Moscow in 2015 – the collection is a part of the project the International Arbitration IUS and was issued by the Arbitration in cooperation with the publishing house «Statute» and magazine's «Arbitral Tribunal». In addition, our arbitrators are the authors of the textbook «The International Commercial Arbitration», which was published in Moscow in 2012. Now the author's team is writing the second edition of this textbook, which is going to be published before the end of 2017. The awards of the International Arbitration «IUS» are enforced in the majority of countries in the world which are the participants of the Convention on the Recognition and Enforcement of Foreign Arbitral Awards (New York, 1958). There are several other multilateral and bilateral arbitration conventions and agreements that may also help of enforcement of arbitration awards. As a result arbitral awards enjoy much greater international recognition than judgments of official state courts. First of all, the advantages of the Arbitration «IUS» consist in objectivity, neutrality, predictability and greater rapidity of disputes resolution (from the moment of submission of the claim up to make of the award takes two months on average). The modest arbitral fees are also the advantage of the Arbitration «IUS». Thus, the Arbitration «IUS» gives the businessmen a real chance to save time and money; highly qualified arbitrators provide resolutions to every case. Any dispute, controversy or claim arising out of or in connection with this contract, or the breach, termination or invalidity thereof, shall be settled by arbitration in accordance with the Arbitration Rules of the International Arbitration «IUS». The award of the International Arbitration «IUS» is final». - The arbitration shall be composed of … arbitrators (a sole arbitrator). «This Contract (agreement, treaty) shall be governed by the substantive law of ... (insert jurisdiction)». We really hope this information will be useful for you, and will help you to make the decision about arbitration or other ADR.